As a scholar of race, language and education, Ibrahim has established himself as an intellectual with a broad reach. 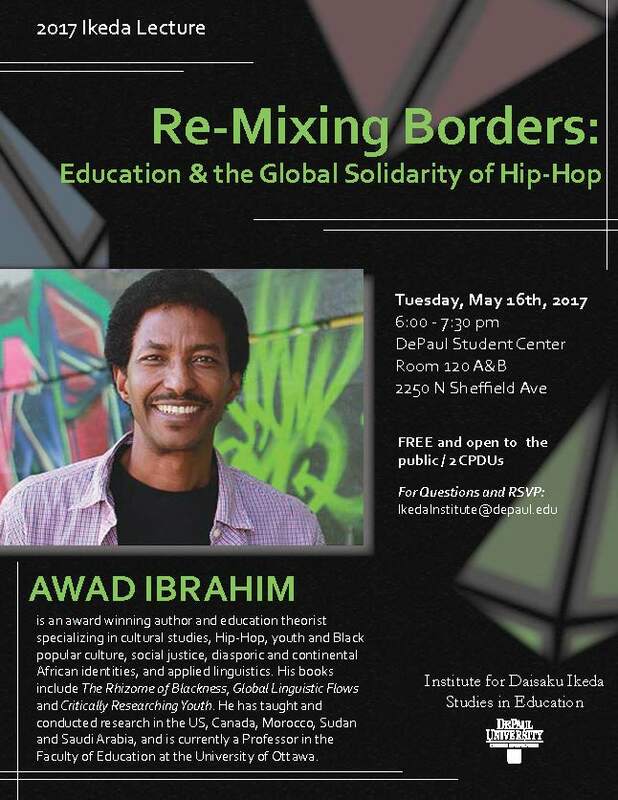 In this talk engaging Daisaku Ikeda’s call for a “global solidarity of youth,” Ibrahim considers Hip-Hop’s power to transcend, collapse, and re-mix international borders and the boundaries of race, language, culture, and human education. Hip-Hop is the global voice of youth, what Ikeda would call “a mammoth musical movement.” For Ibrahim, as for Ikeda, confronting the forces that seek to separate us lies in the power of music—and especially Hip-Hop—that speaks directly to the heart. This response, this echo within the heart of youth, is proof that human hearts can transcend the barriers of time and space and difference and nationality. For further details of the event, please visit our event page. 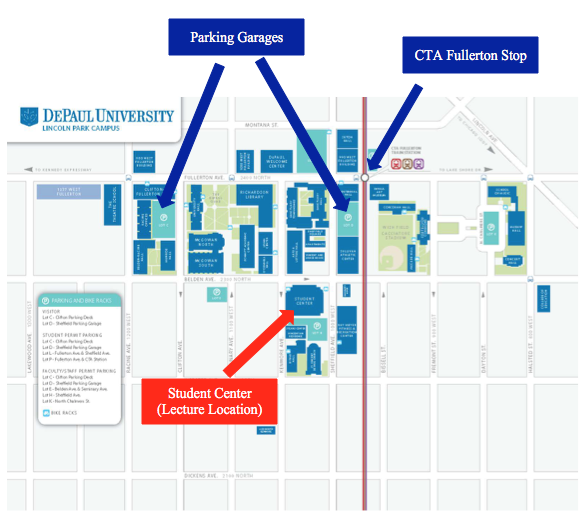 CTA – The Student Center is one block south of the Fullerton Stop for the CTA Red, Brown, and Purple Lines. Driving – There are two parking garages, on Sheffield and Clifton Avenues, between Fullerton and Belden Avenues. The Sheffield Garage is closer (2-min walk); Clifton Garage is a 4-min walk. If validated at the Student Center’s main desk, parking costs $7.50. Metered—but very limited—street parking is also available.